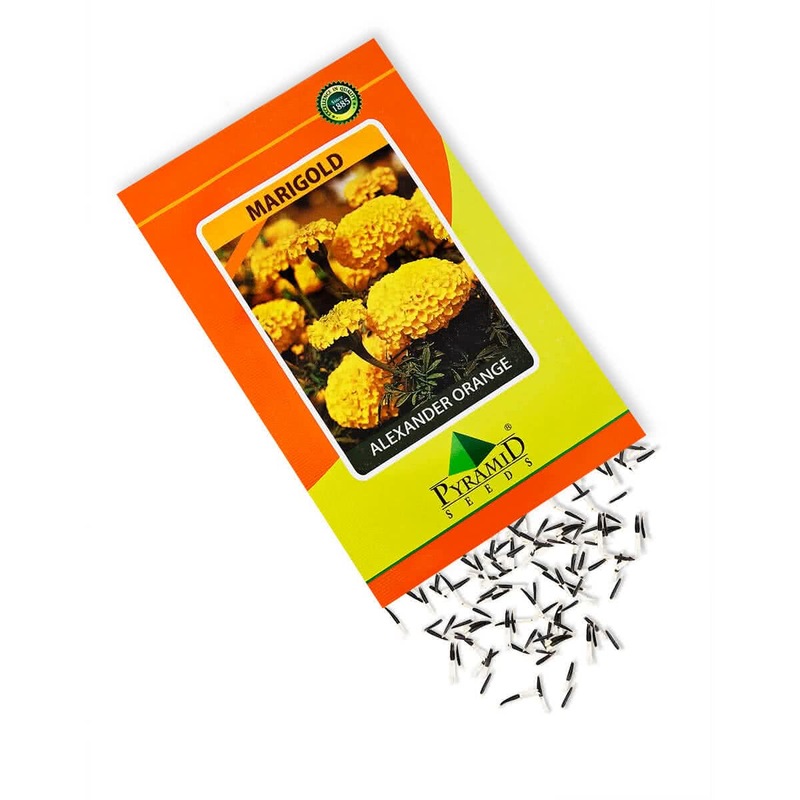 Introduction and Uses: Marigold is one of the most popular annual flowers in India. It is used for garden display as well as for commercial cultivation. These delightful beauties are ideal for cut flowers, especially for making garlands. They can be planted in beds for mass display, in mixed borders, and can also be grown in pots. Alexander Marigold exhibits vigorous growth and uniform globular yellow-orange blooms which are borne in great abundance for garden display and cuttings. Planting Distance: 30-45 cm apart in flowerbeds or 25 cm pots. Feeding: Marigold needs well manured and moist soil. The soil should be cultivated well, and a good dose of cow dung manure should be incorporated into the soil. Bloom time: 2.5-3 months after sowing of seeds.